Here's our favorite Moroccan yummy of all time, redesigned to my specifications just for you! 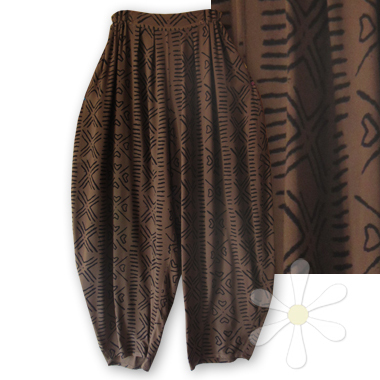 This pair is in our unique mud cloth pattern, which makes them one-of-a-kind -- this is the ONLY one in stock, don't miss out! For measurements and details about this style, see the general MARRAKECH page.